The just released iPhone 7 apparently draws the crowd attention. No matter it will be a work phone or a personal phone, many of you would definitely download one or two productivity apps to get the work going. 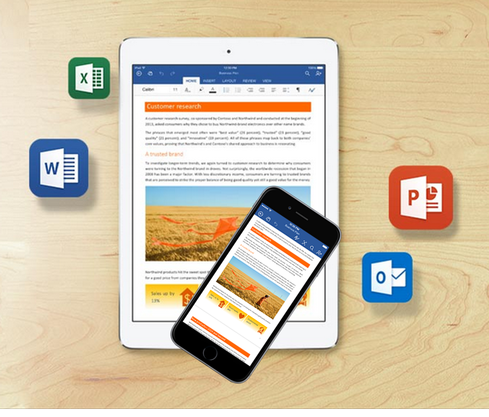 Office for iOS is the one that helps you edit documents, create presentations and view spreadsheets seamlessly on iPhone/iPad. As a regular Office user like you and me would have no problem to adapt the Office app interface. Choosing a familiar one over the others is a comfort. The more you are use to the Word, Powerpoint and Excel app, the faster you can work on your phone. The functionality of a productive office suite app on a smartphone is crucial too, users should find no hard times to create, edit and view files. Almost every feature in the Desktop Office app is also compatible in the iOS version. Another significant selling point to indicate a productive app is the ability to sync documents across various devices and all your work on Office Desktop app like Office 2016 will appear on your phone under the Office for iOS once you sign yourself into the Office 365 account. Then you can start your task wherever you’ve left again on iPhone.